Every Sunday we gather here for worship. Churches across the country and around the world meet together to worship. 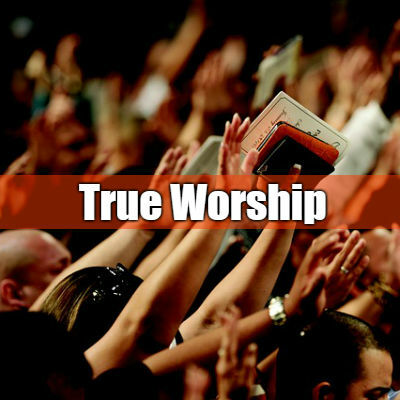 Many people may attend church, but only a few worships or at least understand the true meaning of worship. Worship is one of those words we throw around in church a lot, but many times we don’t clearly understand what worship is about. How do you know when you are truly worshiping God? Worship: (Merriam Webster): The act of showing respect and love for a god; excessive admiration for someone. -Reverence offered to divine being or supernatural power. Worship, biblical speaking is to bow down or fall down in adoration. This is what people did in their showing respect or reverence to God or the gods. According to Jesus, God is on the business of seeking true worshippers. This is how Jesus responded to a question asked by a woman regarding the place of worship. (Samaritan worshiped on the mountains; the Jews worshiped in the temple of Jerusalem. John 4:20-24). Our fathers worshiped on this mountain, but you say that in Jerusalem is the place where people ought to worship.” 21Jesus said to her, “Woman, believe me, the hour is coming when neither on this mountain nor in Jerusalem will you worship the Father. 22You worship what you do not know; we worship what we know, for salvation is from the Jews. 23But the hour is coming, and is now here, when the true worshipers will worship the Father in spirit and truth, for the Father is seeking such people to worship him. Jesus replied that the place will no longer matter, what would be important is the heart of the worshiper. All true worshipers must worship God in “spirit and in truth.” That is, true worship takes place on the inside, in the heart or spirit of the worshiper. It must be done according to God’s truth. Ps.103:1-2 Bless the LORD O my soul and all that is within me). Worship pleasing to God must be genuine, offered with a humble and pure heart ( Psalm 24:3-4 ; Isa 66:2 ). Whatever you give to God in worship must come from a pure, honest heart in order to be received by him. There is an incident in the New Testament when someone truly honored Jesus, those around felt offended by what took place. Jesus had been invited to eat at the home of a man named Simon the Leper. This incident took place toward the end of Jesus’ ministry. Matthew and Mark place this incident before the Passover, right before Jesus is betrayed and arrested. Jesus is having a meal with his disciples at the house of Simon and then an uninvited guest showed up. A woman with an alabaster jar of very expensive perfume. (v.7) she broke the jar and poured the perfume on Jesus’ heard. According to the disciples that perfumed should have been sold at a high price and the money given to the poor. She just wasted that on Jesus. The disciples’ response tells us what they thought she should have done with the perfume. She could have helped a lot of people if she had sold it. This is what the disciples thought she should have done with this. They harassed the woman in their anger because of her act. What others considered waste, Jesus calls it beautiful. What you do for God may be criticized by some; it may even offend some, but if Jesus is pleased with it, that is what matters. True worship is not people-pleasing, but God-honoring. It is not self-centered but Christ-centered. It is not about making people happy, but it’s about honoring God. How are you honoring God with your worship? Is he pleased with it? It’s is true that lots of poor people could have been helped if the perfume was sold. But all she cared about was to do this thing for Jesus. Jesus said the poor you will always have with you. In other words, you will always have time to help the poor, but you will not always have me. Here Jesus was talking about his death, eventually he would be taken away from the disciples. She has prepared me for burial. Jesus saw her worship as a preparation for his death; a pleasing anointing for his death, a death that would bring salvation to all mankind. Jesus considered this woman a hero, for her act will always be remember as long as the gospel is preached in the world. Her worship was acceptable, beautiful in God’s eyes because it flowed from the devotion in her heart. She offered Jesus her very best. She didn’t do this to please people, but to please Jesus. She didn’t care what others said, whether they liked it or not, all she was concerned about was to honor Jesus with her gift. When you worship God with authenticity, you are not concerned about what others think, your sole purpose is to please God. Authentic worship is about pleasing God and not pleasing people. Whatever you do for Jesus has to be done with genuineness, honesty, sincerity in your heart in order to be accepted, otherwise, our worship to him becomes hypocritical (insincere). It sounds good, or it may look good for others, but in God’s estimation is empty and vain. God longs for people to worship him with all their heart. What are you offering God in worship? Are you giving to God sacrificially? Are you aiming at honoring God with your gifts, talent and abilities, your money, whatever you offer to him? Jesus felt honored by this woman that day; she did a beautiful thing for me. Her worship was sincere, genuine; and sacrificial. True Worship is always about honoring God. Is God respected, honored, exalted with your worship today?